There are times when taking your dog with you on a trip is not always possible or the best fit for your pup. Or perhaps you just need your dog out of the house overnight? 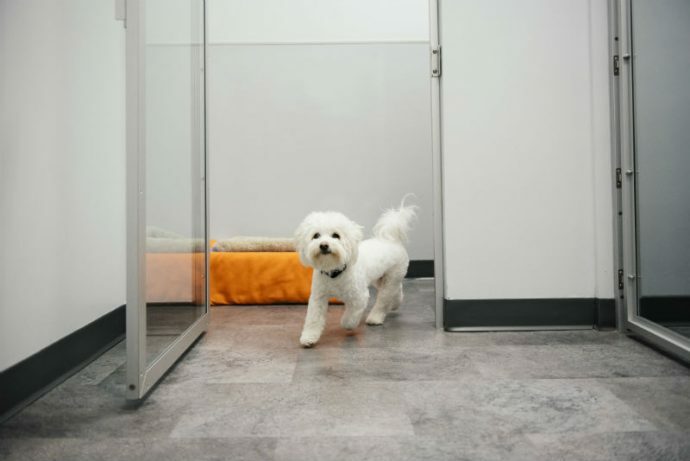 At Dogtopia of South Chandler can be your pup’s home away from home, whether you’re just looking to leave your dog overnight or for an extended period of time. Dogtopia of South Chandler is not just a place for your pup to sleep. Dogtopia is very much like a staycation for your dog as our boarding dogs also get to enjoy fun-filled days of play and exercise with our daycare dogs. We do not have kennel runs; instead our boarding dogs enjoy full use of our open-play, off-leash environment. After hours of play and socialization, they will rest soundly in a place they know and trust. When your pup turns in for the night, they will be tired, but very happy. And best of all, they will have made new BFFFs (Best Furry Friends Forever)! 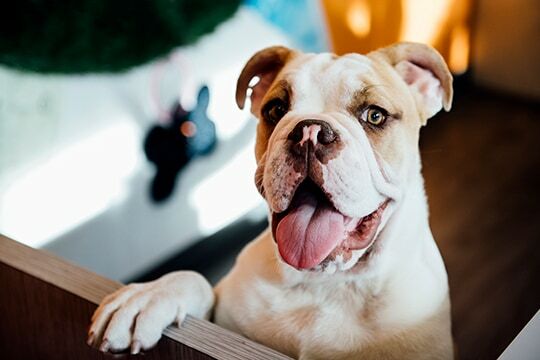 Dogtopia of South Chandler’s dog care professionals will take every step to ensure that your dog is happy, healthy and comfortable during their stay. Feel free to bring your dog’s bedding to make them feel at home. 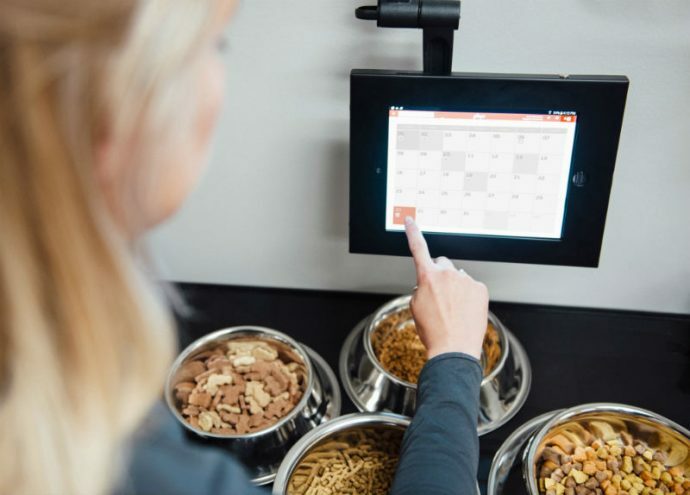 You can also bring in their regular food, as maintaining their regular diet is important for their overall health and comfort. We are dedicated to keeping your dog safe and happy. 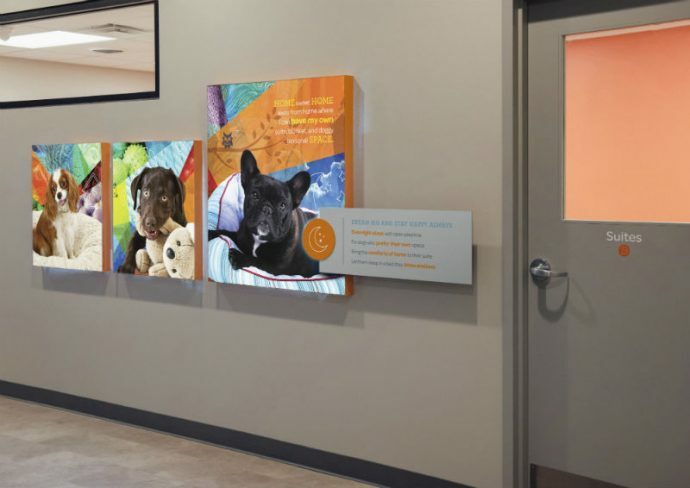 Before you book your dog’s boarding stay, please bring them to Dogtopia of South Chandler so our caring team can conduct a personal meet and greet for your dog and determine if they are the right fit for our open-play, off-leash environment. All dogs that stay with us must be up to date on vaccinations and be free of fleas, ticks and any contagious diseases. If you have a puppy, your puppy must be at least three months old and current on required vaccinations. We require that all dogs seven months and older are spayed or neutered. If your dog is boarding with us for the first time and is not a Dogtopia daycare dog, we recommend at least three days of daycare prior to your boarding stay if possible. 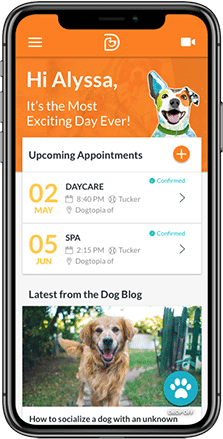 This allows your dog to get familiar with the playroom, the other dogs, the staff and most importantly, lets her know you are coming back to pick her up and that Dogtopia is a fun, temporary place to stay! When your dog is staying with us, why not pamper them? We offer spa packages that can be incorporated into your dog’s boarding stay. Your pampered pup will be clean, clipped and groomed when you pick them up. You can also book separate spa appointments. Beyond baths, we also offer treatments such as teeth brushing, nail trimming and ear cleaning. Your dog will be both relaxed and clean after their boarding stay.